The Roots’ fourth album, 1999’s Things Fall Apart, is largely regarded as the album that put them over the top. While Organix, Do You Want More?!!!??! (personal fave) and Illadelph Halflife were all dope albums with superb hits—“Silent Treatment,” “Clones,” “Proceed” and “What They Do” immediately come to mind—Things Fall Apart is the one where everybody really took notice. 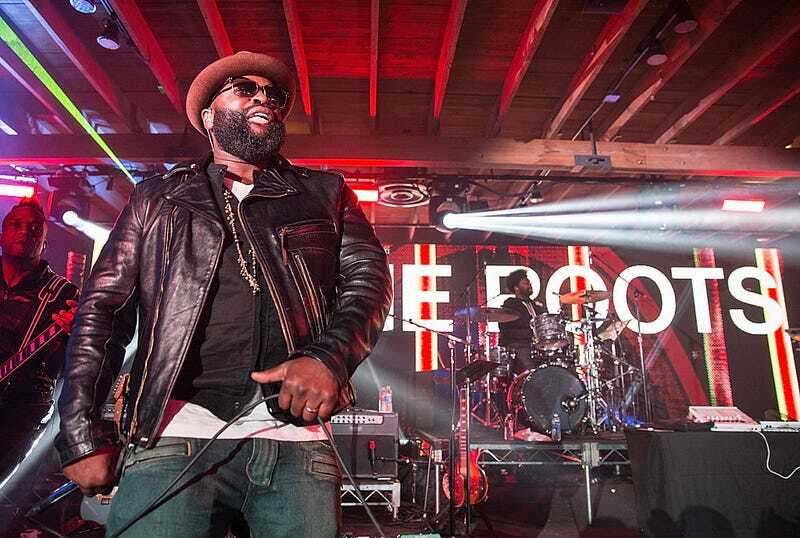 Buoyed by Grammy-winning lead single “You Got Me,” featuring Erykah Badu (who rerecorded Jill Scott’s original vocals for a higher profile), the Roots’ fourth album managed to be critically acclaimed and commercially successful, becoming their first album to go gold and eventually platinum. I could listen to it for 10. And then to infinity and beyond. Listen, I don’t know what God’s favorite song or album of all time is. I’d imagine God has a pretty varied musical palate. But I’d be willing to bet all of the money in my bank account that this song is on his “Best of Humans” playlist. Lyrically, we have pre-Hollywood-fame Common where he was still spitting with hunger with a continuation of the same observant theme from 1994’s classic ode to hip-hop, “I Used to Love H.E.R.” Common dropped his famous “when we perform it’s just coffee shop chicks and white dudes” line and sent a few shots at Hype Williams and Puffy for turning hip-hop into commercial garbage (his opinion, not mine) with the shiny-suit era through their visuals and music, respectively. This was the Common we all knew and loved. One of the knocks on Black Thought in all of the arguments about his GOAT status is that while he’s clearly a top-tier lyricist, his verses are not memorable; most folks can’t recite any lines or verses on instant recall. I’ve made that argument. That’s not the case on “Act Too,” for it’s literally the only entire Black Thought verse I know from start to finish. When he opens up with “The anticipation arose as time froze, I stared off the stage with my eyes closed ... ,” I can see it. It may help that the verse is short, checking in at waaaay less than 16 bars, but hey, the impact pushed back the first five rows. Even almost 20 years later, “Act Too” still impresses me when I hear it. When I’m in the car and I can’t think of anything to listen to, and I’ve already listened to Midnight Marauders on repeat, I always fall back on Things Fall Apart, specifically so I can listen to “Act Too.” It’s one of those songs that I can absolutely say have added to my own life by virtue of their existence. There are certain moments where artists create works of art that are nothing short of blessings. “Act Too” is one of those works of art, helping to explain why hip-hop is now and always will be a love of my life.